Pennsylvania Highlands is designated as a military friendly college and we are determined to make the Admissions process for veterans as seamless as possible. and assistance with transcript management and registration if called into duty. Our veterans, active duty military students and authorized family members are eligible to receive sponsored tuition rates. Depending on the student, documentation will be required such as a DD214, active duty orders, or other appropriate documentation. 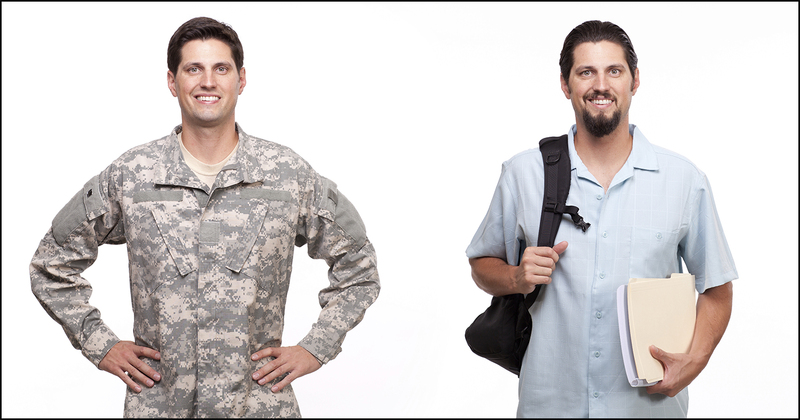 Many of our veteran students gain credits at other colleges and universities throughout their careers. We encourage you to have your official transcripts mailed to the Registrar’s Office so that we can review them for transfer credit. Mail your transcripts to: Pennsylvania Highlands Community College, Registrar’s Office, 101 Community College Way, Johnstown, PA 15904. Don’t forget your military transcript! This link provides information and the ability to have your military transcript sent electronically to Pennsylvania Highlands. The transcripts will be evaluated and appropriate credits will be transferred. Click here to learn more about applying for these benefits, or click on the image below. As a Penn Highlands student, tuition will be determined by the legal/home/permanent address. You may be required to verify residence.